Winter Garden, FL—The new home community of Canopy Oaks in Winter Garden has recorded ten sales in the past sixty days. The gated community on Roper Road offers luxury four to six bedroom two-story residences highly customized for its buyers by builder A.R. Bailey Homes. In May of last year, Simpson and Tom Garver of A.R. Bailey Homes opened two model homes within the 52 acre community of 58 homes. The Sanibel and Delray models received Parade of Homes Awards for both interior design and many unique home features. Homes boast luxuries such as walk-in wine cellars, Viking kitchens with double island work stations, low maintenance pool/spa backyards and a master bath with free standing tub and walk-in rain forest shower. The community is gated and features a high-tech security camera system that allows parents to monitor the entrance and the children’s bus stop from their smart phones. Although Canopy Oaks is a neighborhood of homes designed just for this community, Simpson and Garver’s sales strategy was to include “best of the best” home features usually only seen in million dollar custom homes. Also, unlike most production builders, they happily work with buyers to “build to suit”. With “build to suit” homes within a carefully designed and gated neighborhood, Simpson and Garver have hit upon a winning formula. Over 1,000 families have visited the award-winning models during the first quarter of the year. 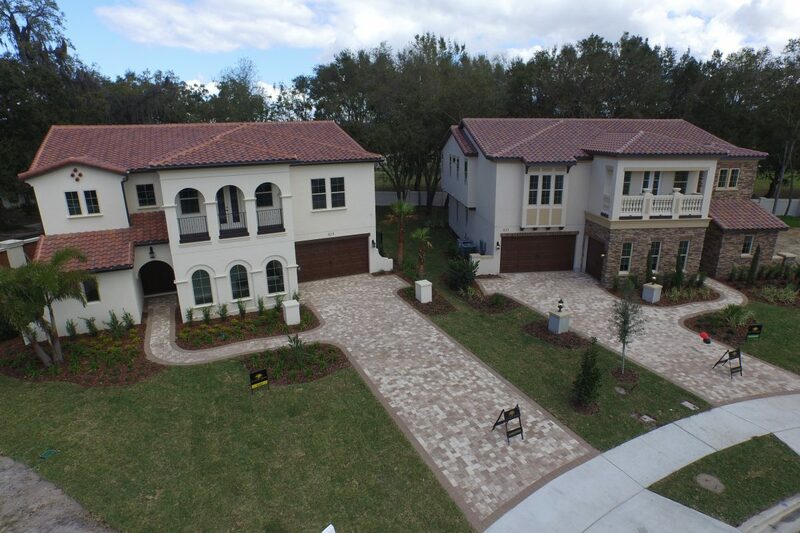 The pace of sales and lofty prices establish Canopy Oaks as the place to be for luxury home buyers in Winter Garden.